Ever wonder what a group of jet-powered robots skating around a dance club would look like? How about if those robots were playing dodgeball? Well you can stop wondering, all thanks to Erik Asmussen, developer of Robot Roller-Derby Disco Dodgeball. I’ve gone on record on a few episodes of DRULcast stating that Unreal Tournament 2k4 is by far my most favorite first person shooter ever. However, if we dig deeper into that statement it is all because of one mode, Instagib. Instagib essentially means, hit an enemy with one shot and they’re turned into giblets. For any old school N64 fans, it’s the same as the Golden Gun in GoldenEye 007. Playing Disco Dodgeball instantly brought me back to those fun times playing UT2k4, due to its speed and instant death if you don’t catch the ball. 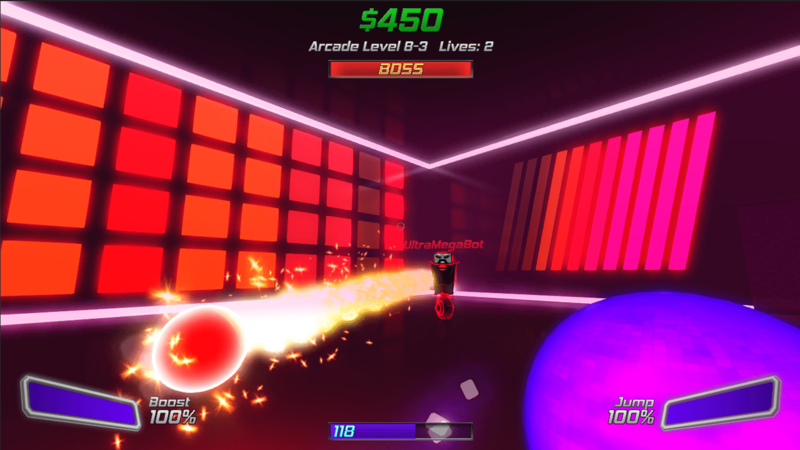 Arcade mode pits you against multiple waves of enemies, and bosses are added to the mix to make the game even harder. 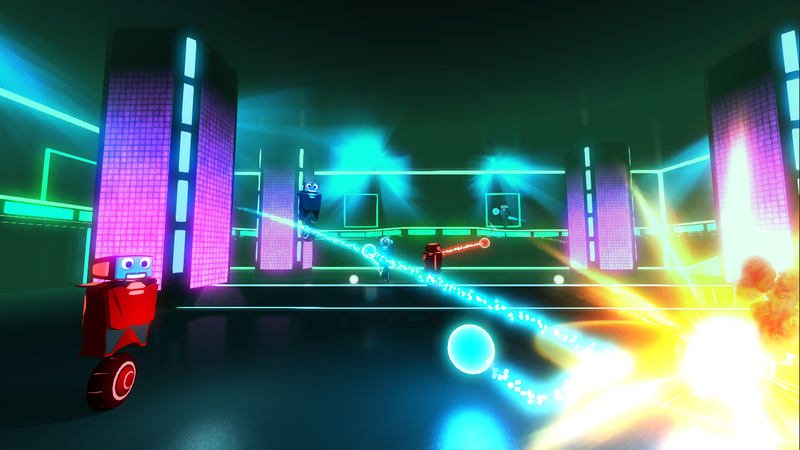 The fast paced music in the game blends well considering, Disco Dodgeball’s gameplay is just as fast. 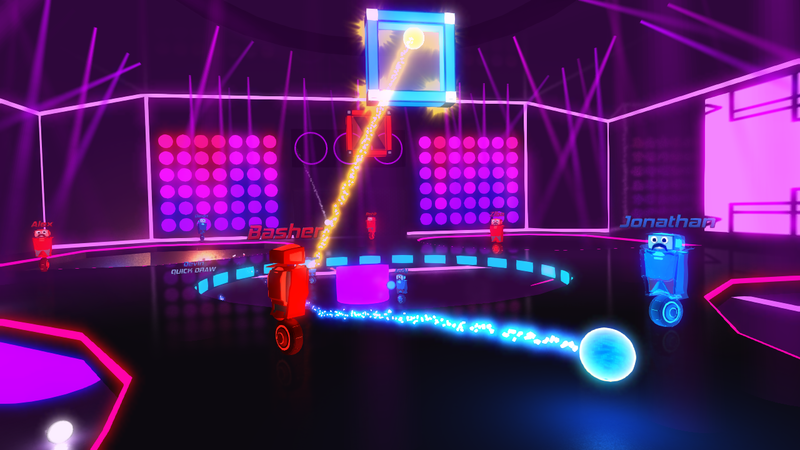 Disco Dodgeball’s music leads to a great feature in the game that could easily be under looked, the environment. The levels dance clubs respond to the music that is being played, and constantly change based on the beat. Multiplayer features modes like Elimination, Hoops, and Grand Prix all of which require teamwork in order to advance. For Elimination, think Search and Destroy. You have one life, and your goal is to eliminate the other team. Hoops is basketball. There are many balls in the club, but only one is gold. The gold balls must be used to score points. 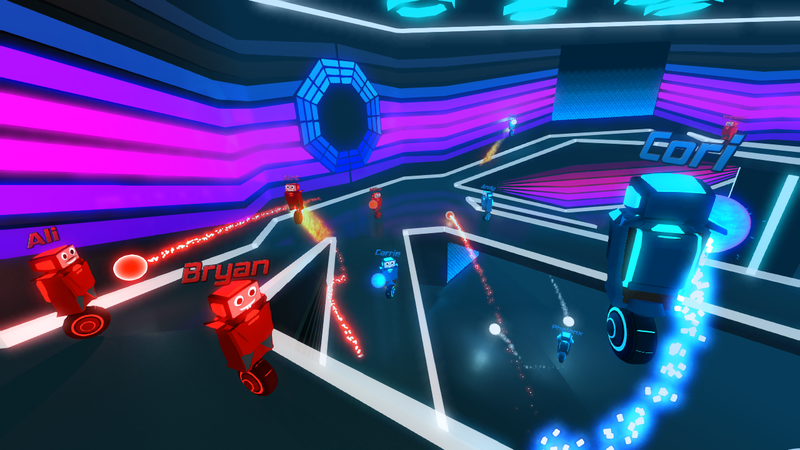 Grand Prix features checkpoints which you need to pass by while each team is working against each other to hit players in order to set them back. 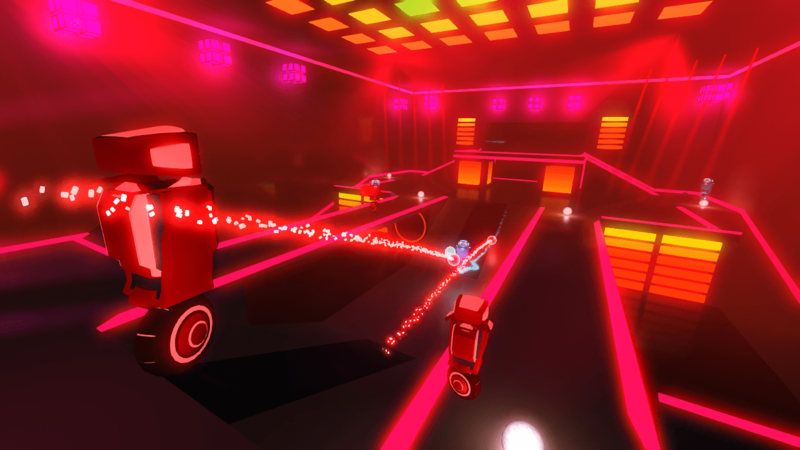 Robot Roller-Derby Disco Dodgeball is now available on Steam! Be sure to try the demo!